11369. Theron Howard LEIGHTON (Marlene E KEINARD , Howard Raymond KEINARD , Margaret Elizabeth KENNEDY , Hannah BITLER , Jacob , Daniel , Johannes ). Theron married Melissa Eileen REIGEL. 16732 F i Amber LEIGHTON. 11370. Doreen KEINARD (Raymond Lee KEINARD , Howard Raymond KEINARD , Margaret Elizabeth KENNEDY , Hannah BITLER , Jacob , Daniel , Johannes ). 16733 M i Joseph STORZ Jr.
16734 F ii Margaret "Maggie" STORZ. 11371. Donna Lucille STONE (Ralph G STONE , Florence Victoria HEUYARD , Emma E BITLER , John , Daniel , Daniel , Johannes ). Donna married Roger Lee BRADLEY. + 16735 F i Mary Christina BRADLEY. 16736 M ii Stewart Kelly BRADLEY. Stewart married Stacey L SNYDER. 16737 M iii Sean Kirk BRADLEY. Sean married Jennifer A MILLER. 11374. Shirley Anne MILLER [scrapbook] 1, 2, 3 (Marian Florence STONE , Florence Victoria HEUYARD , Emma E BITLER , John , Daniel , Daniel , Johannes ) was born on 26 Feb 1935 in New Holland, Lancaster Co, PA. She died on 9 Feb 1997 in At Home, 1775 Eden Rd, Lancaster, Lancaster Co, PA. She was buried in Zeltenreich Cemetery, New Holland, Lancaster Co, PA.
Shirley resided in 1940 in Earl Twp, Lancaster Co, PA. She was a member of Grace Baptist Chapel - Member, Youth Missions Advisor, Missions Trips in Lancaster Co, PA. She was issued a social security number in 1952/1953 in PA. She worked as Editor - Penny Saver from 1977 to 1985. 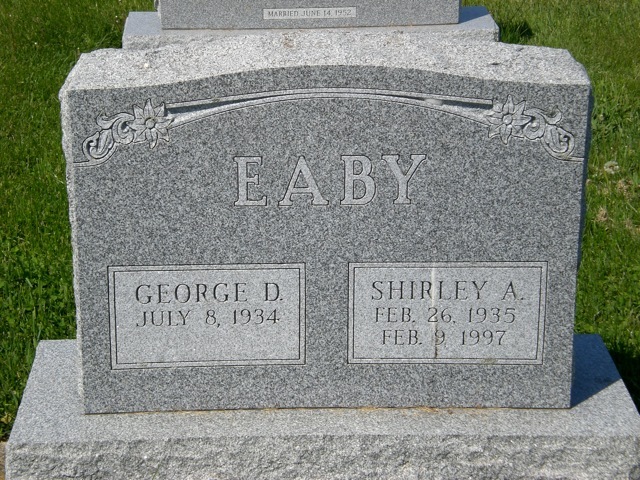 Shirley married George D EABY on 2 Jun 1956 in New Holland, Lancaster Co, PA.
16738 F i Judith Anne EABY. Judith married Jerre D HOCKENBROCHT. 16739 F ii Jessica Colleen EABY. Jessica married John Elliot ARTHUR Jr.
16740 M iii Daniel M EABY. + 16741 F iv Dawn E EABY. + 16742 M v Todd D EABY. 11375. Phyllis Jane MILLER (Marian Florence STONE , Florence Victoria HEUYARD , Emma E BITLER , John , Daniel , Daniel , Johannes ). Phyllis married Donald H WITMAN. 16743 M i Peter Donald WITMAN. 11376. Richard Lee MILLER (Marian Florence STONE , Florence Victoria HEUYARD , Emma E BITLER , John , Daniel , Daniel , Johannes ). Richard married Shirley Anne BAUER, daughter of Richard William BAUER and Dorothy Emma WOLFE. Shirley was born on 8 Sep 1938 in Lancaster, Lancaster Co, PA. She died on 13 Apr 2006 in Lancaster, Lancaster Co, PA.
Shirley resides in 2006 in Lancaster, Lancaster Co, PA.
16744 F i Terry Lee MILLER. Terry married David Lloyd LINES. Terry also married Orlando CARVAJAL. 16745 F ii Susie Lynn MILLER. Susie married Richard J SCHICKEL. 11383. Brenda Jane FREY (Emma Kathryn STONE , Florence Victoria HEUYARD , Emma E BITLER , John , Daniel , Daniel , Johannes ). 16746 M i David BAKER. 16747 F ii Charlotte BAKER. 16748 F iii Robin BAKER. 11384. Betty June FREY [scrapbook] 1, 2, 3 (Emma Kathryn STONE , Florence Victoria HEUYARD , Emma E BITLER , John , Daniel , Daniel , Johannes ) was born on 4 Jul 1954 in Ephrata, Lancaster Co, PA. She died on 21 Jul 2009 in Denver, Lancaster Co, PA. She was buried on 25 Jul 2009 in Memory Gardens Inc., Lancaster Co, PA.
Betty served in the military with U.S. Army Reserver from 1982 to 1988. 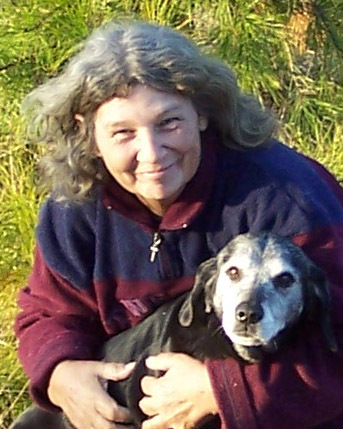 She worked as newspaper carrier with Lancaster Newspapers from 1995 to 2008. She was a member of Faith Corral Ministries (founder) in Sidney, Sharp Co, AR. She resided in Jul 2009 in 5 Sportsman Rd, Denver, Lancaster Co, PA.
Betty married J Bryan FORNEY on 24 Sep 1977 in Fivepointville, Lancaster Co, PA.
Betty also married Dennis S GRAVELY on 23 Sep 1989 in Ephrata, Lancaster Co, PA.
16749 M i Dillon S GRAVELY. Dillon married Jennifer L MILLER. 16750 F ii Amanda K GRAVELY. 16751 M iii John D GRAVELY. 11387. Donald G WEAVER (Evelyn V STONE , Florence Victoria HEUYARD , Emma E BITLER , John , Daniel , Daniel , Johannes ). Donald married Hazel R GOOD. + 16752 M i Stefan WEAVER. 16753 F ii Suzanne WEAVER. 11399. Faith Inez STONE (Ivan H STONE , Florence Victoria HEUYARD , Emma E BITLER , John , Daniel , Daniel , Johannes ). Faith married Patrick Emory PICKEL. 16754 F i Allison H PICKEL. 11410. Beverly Anne REESER (Charlotte May STONE , Florence Victoria HEUYARD , Emma E BITLER , John , Daniel , Daniel , Johannes ). 16755 M i Shawn RATHMAN. 16756 M ii Seth M RATHMAN. Seth married Jessica A LEED. Beverly also married John E HOUCK Jr.
11422. Clark Eugene HARTING (Eleanor E WERTZ , Mary R BITLER , Franklin Heberling , John , Daniel , Daniel , Johannes ). Clark married Christine A MILLER. 16757 M i [Male] HARTING.